Are you looking for affordable Aruba Hotels for your next Aruba scuba diving trip? Here are some hotels that span from Palm Beach, Oranjestad, Noord and Savaneta Aruba. Aruba Blue Village Hotel is a resort located on the northern side of Aruba. It is ideal for couples, groups or a family vacation since it has 2 swimming pools and a playground just a few minutes away from Eagle Beach. The hotel offers high speed internet and a free shuttle service. Be sure to ask for information about car rental services and dive specials. Choose from one of the 120 apartments with amenities such as kitchenette with a 2 burner stove, microwave, toaster and refrigerator. 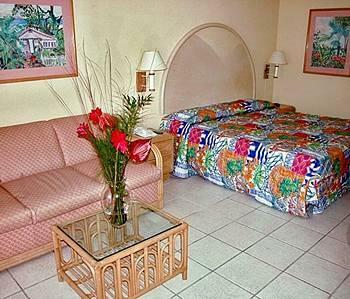 Blue Village Resort, not only accommodates short term vacationers but also anyone staying in Aruba for longer periods of time with reasonable rates. 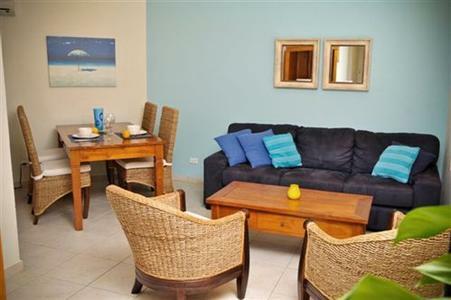 Ocean 105 Apartment Villas allows for a relaxing vacation on the island of Aruba. Each apartment contains two private bedrooms, with individual bathrooms, fully equipped kitchen, living room and porch area. Guests appreciate the ocean views and caressing tropical breezes from their comfortable apartment. In your downtime, make your way over to one of the many beaches that surround Ocean 105, such as Boca Tres Trapi and Boca Catalina. Enjoy wonderful swimming and snorkeling adventures. MVC Eagle Beach Hotel is located just 15 minutes from the Reina Beatrix International Airport in a very serene spot along Eagle Beach. Enjoy diving in Oranjestad which is just a 5 minutes drive from MVC. Have lovely Caribbean & Dutch cuisine at the restaurant "The Tulip" on the premises of MVC Hotel, serving continental breakfast, luch and dinner. 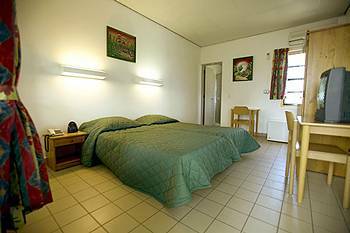 Each room is air conditioned with individual bathrooms, telephone, small refrigerator and cable tv. Talk of the Town Aruba is located just opposite Surf Beach and when you are taking a break from the scuba diving, do some shopping at downtown Oranjestad. As a guest you can enjoy the swimming pool and free wireless internet access. Talk of the Town Hotel has teamed up with S.E. Aruba Fly 'n Dive to give guests an extra holiday experience at Aruba's dive sites. 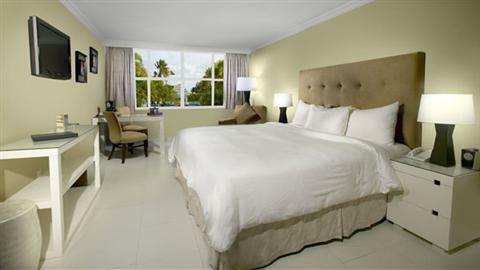 Brickell Bay Beach Club Hotel is a Caribbean styled boutique hotel. It has an easygoing environment that is comfortable yet stylish. Rooms feature flat screen plasma TV, Wi-Fi High Speed internet and cable tv. During your break periods from snorkeling and scuba diving excursions with Marcel Water Sports, enjoy "The Orchid Spa" at Brickell. Make an appointment to indulge in hot stone or deep tissue massages. Divers have to eat too, so located on the Hotel premises are Tomato Charlie’s, Benihana and Hooter’s restaurants. Seconds away are the Brazilian Steakhouse, Amazonia and Aruba’s favorite sea food restaurant, Aqua Grill. Even MORE Hotels you won't want to miss!